“Kick back, relax, and let me do all the work.” Ashley Cusack has lived by this motto throughout her almost-25 year career, which she started as an assistant for a top producing agent. While learning the business from the ground up, she’s never lost sight of how significant and stressful real estate transactions can be. That is why her philosophy is to always treat the client as you would want to be treated when buying or selling your own home. That client-focused attitude has translated into success. Ashley has consistently been in the top ½ of 1 percent of Realtors nationwide, and in the top 10 of EWM International Realtors – an accomplishment spanning the past 15 years. 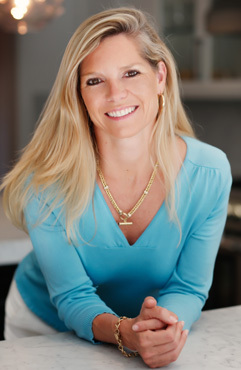 In 2012, Ashley was also recognized as the area’s top residential Realtor by the Miami-Dade Chamber of Commerce. Ashley has developed a large network, plus exceptional marketing and negotiating skills, all of which “can give you a leg up in a tight market when you need to know about listings before they come on the market.” Her goal is to provide the best service and knowledge to her clients by always evaluating the status of real estate in South Florida. Additionally, strategic marketing and advertising give each home the best and most exposure possible. As a Miami native, Ashley exercises hometown pride through service at Ransom Everglades School and St. Thomas Episcopal Church; the Junior League of Miami Foundation Board; Beaux Arts; and helping coach girls’ lacrosse. Ashley Cusack has always approached her career in real estate as a customer-focused experience. Since joining EWM Realty International in 2000, she has successfully completed over half a billion dollars in sales. In 2017, EWM Realty International recognized Ashley as joining its ultra-elite class of associates. As the result of her sales success, Ashley is now a Senior Vice President of EWM Realty International. Although Ashley is proud of this new achievement, as she now enjoys a landmark moment in her career, she attributes the success to her loyal customers, family, and friends who have supported her and helped her grow her network over the years. Her customers trust her wholeheartedly to handle some of the most sensitive transactions they will ever make in their lifetime. Her knowledge of the local market and luxury trends, coupled with her innovative marketing techniques and concierge-style approach is unmatched by any other professional in the industry. 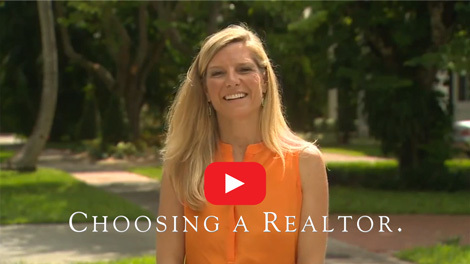 Ashley looks forward to continuing the work she has done matching the right buyers with the right sellers, and helping people achieve their dream lifestyle. She appreciates being able to tap into the power, presence and prestige of South Florida’s #1 luxury brokerage, EWM Realty International, and the world’s largest broker-to-broker networks: Leading Real Estate Companies of the World and Luxury Portfolio International.